Are you searching for the perfect vacation trip to take in the Blue Ridge Mountains? There are many attractions you can visit in this scenic area of the South. Whether you are an outdoorsy type who loves communing with nature or your idea of an adventure is hitting up new restaurants in new locations, the Blue Ridge area of Georgia offers options for everyone. 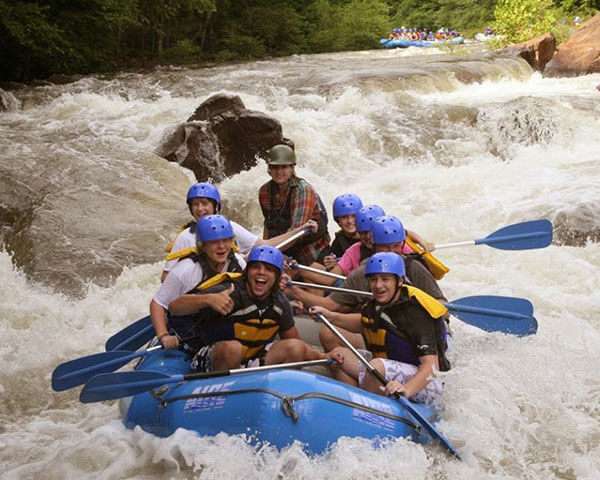 Of course, we think part of your vacation to this scenic region should be white water rafting. We believe everyone can learn something about themselves by facing the challenges on the Ocoee River near Blue Ridge, Georgia. But we get that you may want to do other things as well. That’s why we put together a comprehensive look at the best white water rafting options in the region as well as a few other things you can enjoy during your stay. By the time you end your vacation, you will have a new appreciation for the beauty of Blue Ridge and the many activities available in the region. Let’s start with a float down the river. Rafting along the Ocoee River delivers such a rush, you may find yourself reliving your rafting trip for days after you return. We have programs perfect for everyone from white water rookies to experienced rafters. We tailor the experience to your confidence and skill level. The Class III and IV rapids in this neck of Blue Ridge, Georgia, are nothing to sneeze at. Your arms will be sore after a day of paddling through these difficult yet exhilarating tests of your strength and endurance. Having the right people in place to guide your white water rafting trip can mean the difference between a good and a phenomenal day. We want you to have a phenomenal day. That’s why we hire only the best, most knowledgeable guides to lead our adventures. We are selective about who we bring on board. Your guide will spin stories and keep you amused the entire way. They know the rapids and the small details about each little dip and hole. They can help you paddle out of rough currents and around tight ledges. They also know all the safety procedures and keep calm during an emergency. They occur rarely, but when they do, you want someone cool and collected running the show. That’s another reason why our guides are so special. Why Choose Us for Your Rafting Adventure? We have high-quality equipment: From our rafts to the paddles to the helmets we insist you wear on your adventure, you will use well-made gear that will keep you protected on the rollicking waters. We offer low prices compared to the competition: You can get a better value when you choose us to guide you down the Ocoee. We take your safety seriously: Our guides are trained in First Aid, CPR and Advanced Swiftwater Rescue. We love the river, but we also respect its fierceness. We’ll throw in a bonus fourth reason, too — we also offer other pursuits you can enjoy. We realize you may want to do things besides rafting. Have a blast participating in other thrill-seeking activities along the river, such as mountain biking, zip lining and adventure races. If you live for excitement, then we can keep you occupied for a very long time. If you prefer to watch the outdoors fly by while you sit in comfort, consider taking a ride on the Blue Ridge Scenic Railway. This fully-restored train gives rides that begin at the historic depot in downtown Blue Ridge. Enjoy holiday-themed trips throughout the year, too. Do you like shopping? We recommend seeking out shops a little different from the norm to get a full taste of what we have to offer here in Blue Ridge. Local favorites include record stores and antique shops, as well as book and candle stores and even one store that sells bird seed and another that specializes in olive oil. You can find unforgettable holiday gifts at every intersection. Don’t forget to save time for the downtown art galleries, too. This area boasts a cadre of talented artists, and they sell such a unique variety of items, you can visit them all and never see the same style twice. Finally, we recommend sampling from the many restaurants in Blue Ridge that serve up winning meals. From farm-to-table haunts to breweries to beloved favorites like the Sweet Shoppe, you really can’t go wrong no matter what your culinary preference. We can sum up your visit to Blue Ridge in one word — memorable. 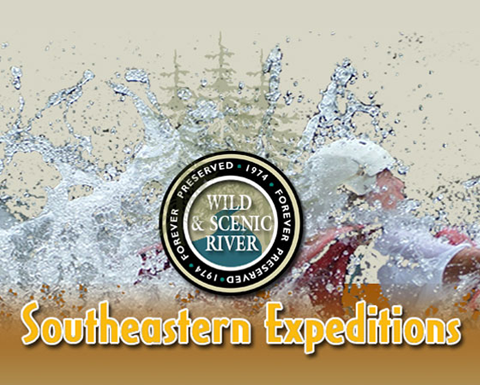 From your time on the Ocoee River to trips downtown to hanging out in nature, you will have the time of your life. We hope to see you here soon.